ideo by The Associated Press taken in the aftermath of the attacks on the World Trade Center towers and the Pentagon. In one of the most audacious attacks ever against the United States, terrorists hijacked two airliners and crashed them into the World Trade Center in a coordinated series of blows Tuesday that brought down the twin 110-story towers. A plane also slammed into the Pentagon, bringing the seat of government itself under attack. Eyewitnesses describe what they saw at the World Trade Center. Bush says the United States will "hunt down and punish" those responible for terrorist attacks on the World Trade Center and the Pentagon. Secretary of State Colin Powell says U.S. will bring those responsible for the terrorist attacks to justice. Scenes at the Pentagon after it was hit by a hijacked airplane. The aftermath of terrorist attacks in New York and Washington. House Speaker Dennis Hastert and Senate Majority Leader Tom Daschle speak about terrorist attacks. Bush says the United States will punish those behind the terrorist attacks in New York and Washington. Bush says freedom will be defended in the aftermath of terrorist attacks in New York and Washington. President Bush on Wednesday condemned terrorist attacks in New York and Washington as ``acts of war,'' and said he would ask Congress for money for recovery and to protect the nation's security. Into the night, ferries carted loads of bodies across the Hudson River, said Stan Eason, a Jersey City spokesman. Three cab companies ripped out seats from vans to help carry the dead to the Military Ocean Terminal in Bayonne, N.J.
Israeli officials said they assumed Islamic extremists were responsible for the attacks in the United States. Israel has been a frequent target of attacks by Islamic groups, including a series of suicide bombings in the past year. Palestinian President, Yasser Arafat, has followed up his offer of assistance to the United States by donating blood on Wednesday. Attorney General John Ashcroft says there are "numerous credible leads" into the attacks on the World Trade Center and the Pentagon. Japanese Prime Minister Junichiro Koizumi went on television to calm the country and outline his defense strategy. Pope John Paul II condemned the ``unspeakable horror'' of the terror, saying Tuesday he was praying for the victims and their families. New York Mayor Rudolph Guiliani held a press conference on on Wednesday progress in the wake of the World Trade Center terrorist attack. Investigators on Wednesday sought answers in Florida and elsewhere to an unspeakable question: Who could have done this? The United States won key endorsements from NATO and the United Nations for punishing those responsible for the attacks. Though untold bodies were still buried in the rubble of the World Trade Center, some rough counts had begun to emerge. About 70 bodies have been removed so far from the buckled section of the Pentagon as search and rescue workers toiled around the clock with little hope of finding more survivors. President George W. Bush expresses gratitude for Pakistani president Pervez Musharra "full support." Transport Secretary Norman Y. Mineta, said that flights would be allowed to leave as long as they met the new security measures in place at all airports. President Bush spoke by phone Thursday with more world leaders to receive condolences and seek support for the United States. USNS Comfort was enroute to New York to serve as a rescue facility. Attorney General John Ashcroft said Thursday the FBI was working on "thousands and thousands of leads." 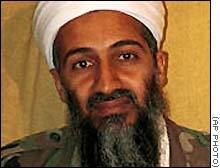 Secretary of State Colin Powell identified Osama bin Laden as a prime suspect. U.S. financial markets began their gradual return to work following a two-day shutdown. Across the globe, people have been showing their respects for the dead and missing in the New York and Washington tragedies. Ground Zero captured by the video camera of a rescue worker. Lawmakers evacuated the U.S. Capitol Thursday as a bomb threat prompted police to clear the building for a second time. Families and friends looking for missing loved ones brought their pleas to TV. Europe fell silent this morning to honor the victims of the trade center attack. Security was heightened at the US airbase in Incirlik, Turkey as American and British fighter jets were taking off. Afghanistan's ruling Taliban warned on Friday that any military attack by the United States would lead to acts of revenge.